If one had to describe Richa Chaddaa��s journey, it would be a�?follow your hearta��. The Delhi-based actress started off with theatre, and then bagged her first film, Oye Lucky! Lucky Oye! with Abhay Deol. Known for her fiery roles, the 25-year-old has been part of path-breaking movies like Gangs of Wasseypur. Bold and experimental, Chadda is all set for the release of her next movie, Tamanchey, a feel good, quirky love story filled with twists and turns. It sees Chadda playing the role of a criminal who a�?meets a small time thief and falls in love with him. How the two, despite their differences, get together is the story,a�? she begins. Besides looking at the director, script, banner and her role, Chadda is choosy about her films because she does not want to get repetitive. a�?Bollywood boxes people very easily. After finishing Gangs… I got a million or more offers to play a rustic woman. I did not choose any; I chose to be jobless. A lot depends on the actor as well. Almost all actors have played the role of a cop, but what each actor brings to the role is important and should be different,a�? she says. Currently filming Sudhir Mishraa��s next, Aur Devdas, in Lucknow, Chadda plays the role of Paro, Devdasa��s lover. a�?It is a political film. And the film is a tribute, not the next version of Devdas. My character does more than just light diyas. She is a woman of the present,a�? she insists. On her recent theatre outing, the actress, who was busy travelling with the play, Trivial Disasters, till last week, says, a�?Theatre is a good change for an actor. Also, I could commit myself only for a brief time, so working with (director) Atul Kumar was perfect.a�? 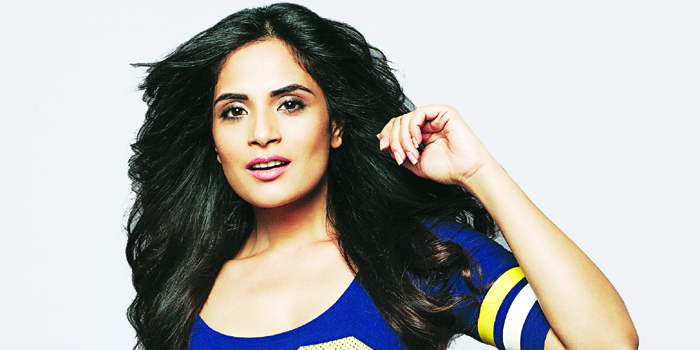 For Chadda, Meryl Streep and MadhuriA� Dixit are her inspirations. Confessing that criticism affects her deeply, she says, a�?I hate it when the media treats actors as commodities. I was recently criticised severely and it hurt me.a�? Voicing her opinion on the Deepika Padukone row (there was a demeaning news item titled OMG! Deepikaa��s Cleavage Show), the actress says, a�?More than print, it is live media that is more dangerous. When we go for press shows and other events, they zoom in on unwanted body parts and that can be misused. I think an actress has to defend herself and there is nothing wrong in that.a�? Tamanchey is scheduled to release on October 10.